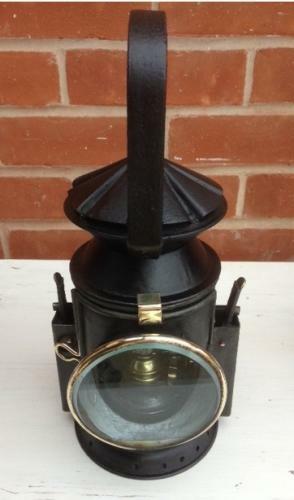 Vintage Railway Guard's Lamp in good condition and with brass fittings. Press the brass catch at the back to turn the handle and change the light from clear torch light, to Red for Stop and Green to Go. All lenses and burner complete. can be posted for £10.